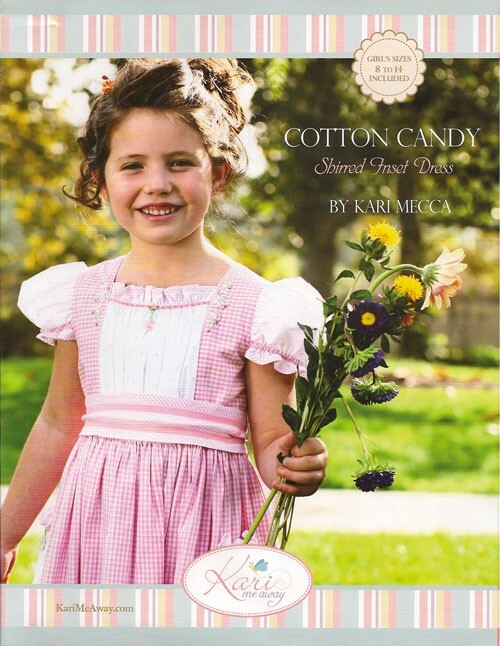 This shirred inset dress features several of Kari's signature embellishing techniques & uses a fun mix of checks, stripes & dot fabrics. Sweet peasant look w/pockets on the skirt, puffed sleeves & belted waist. All is topped off w/delicate silk ribbon embroidery on the bodice. Great color instructions!